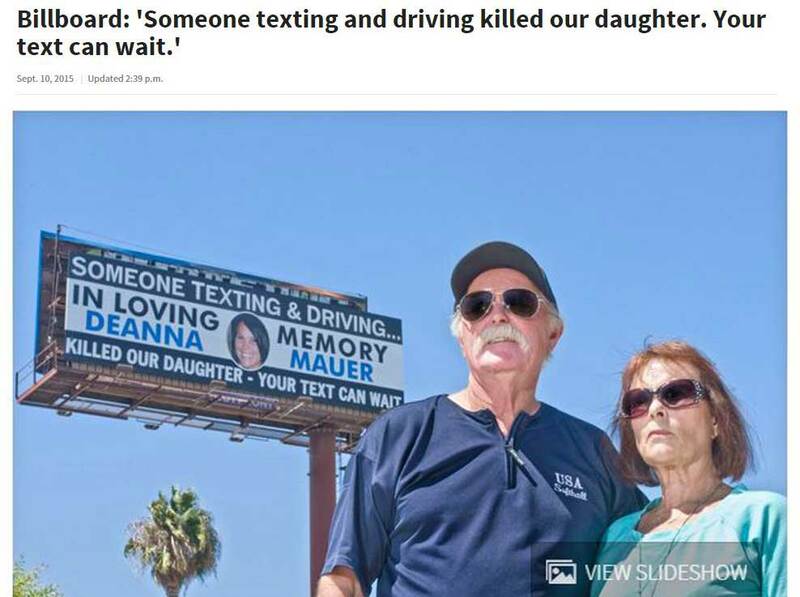 Howard Mauer, proud father of texting and driving victim Deanna Mauer needed to spread the word about what happened to his daughter as well as warn people everywhere about the severe dangers and consequences of texting and driving. 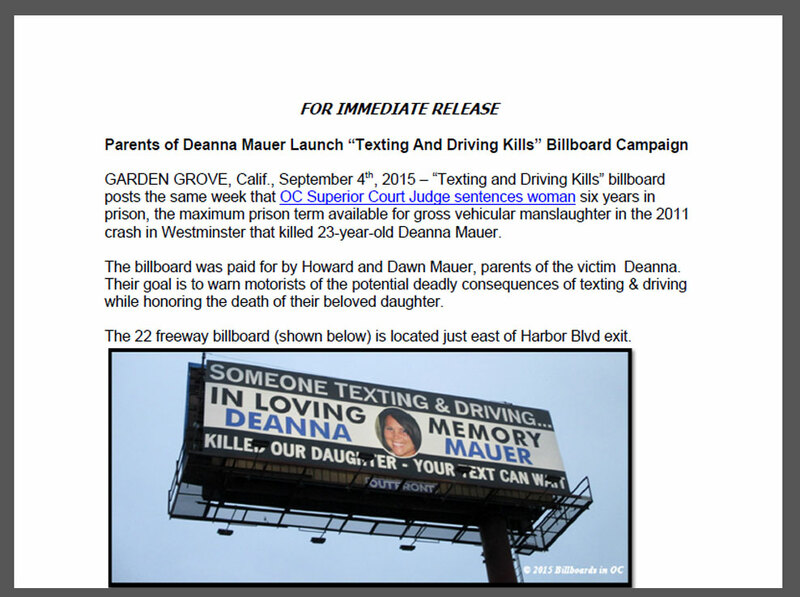 Since this was a controversial ongoing news story, most of our media partners refused to put up the billboard. We had called and emailed about 10 possible vendors, but many just did not or could not have any part of the campaign due to their company policies or corporate opinions…We didn’t give up. From the time we began our search for the perfect billboard, we were racing against the clock. The conviction of Jorene Nicolas had already happened, and at the time the sentencing of Jorene Nicolas was less than 3 weeks away. The parents really wanted this posted in under 2 weeks. After various ad copy revisions (and renaming the campaign) Outfront Media had finally approved our campaign. Special thanks to my friend and Outfront rep Marc Enterante for helping make the impossible happen. Also a really special thanks to my beautiful wife Heather for her A+ creative work. This story has impacted so many lives…How do you feel about it all?